This Baked Spinach Dip is a great fall appetizer for friends and family. As the weather turns colder I tend to turn to hot baked foods to warm us up as our frigid winter approaches. This is one super cheesy, garlic filled dip – a treat your family will devour! 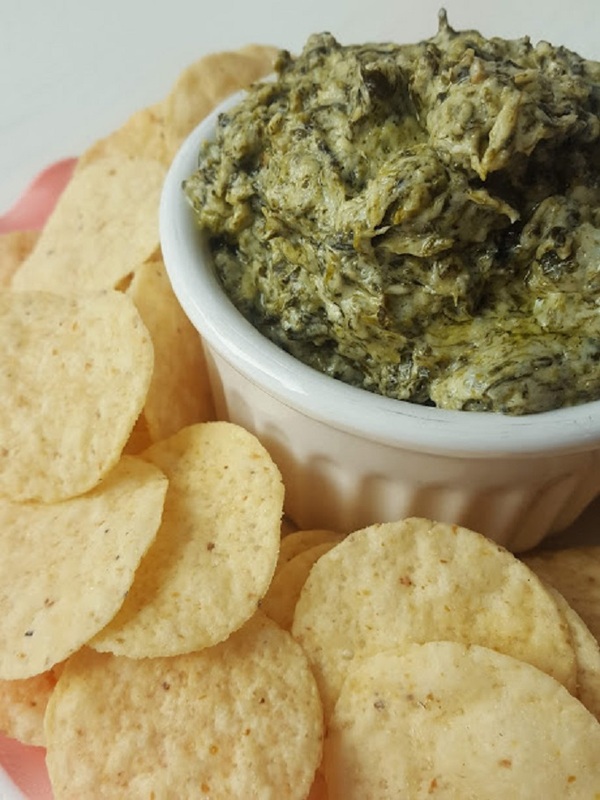 In summer time I enjoy a good cold spinach dip like most. But now that fall is coming very soon, it is time to start enjoying those wonderful warm comfort foods. This Baked Spinach Dip is cheesy and garlicy and has just the right amount of Spinach. You will love it because it is so easy, and of course delicious – You just throw it all in one bowl and mix! Can Baked Spinach Dip be made ahead of time? Yes it can. Just mix it all together and it will keep in the fridge for up to two days before baking. How long do I have to bake spinach dip? Once you have all your ingredients mixed together, Spoon into prepared baking dish. Bake in the preheated oven for 20 to 25 minutes, or until cheese is melted and bubbly. 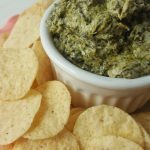 Can I freeze spinach dip before baking? Yes, this spinach dip freezes great. Mix all ingredients well, and put in you freezer in an airtight container for up to one month or less for optimum freshness. 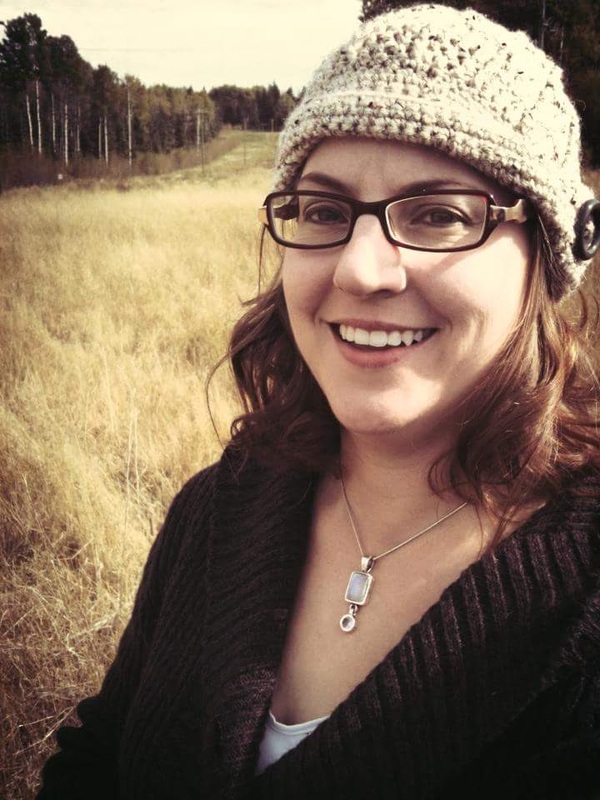 I am slightly in denial about winter approaching as it seems summer here went by in the blink of an eye. To help ease us into the winter season making this Baked Spinach Dip and warm comfort foods makes it a little easier. 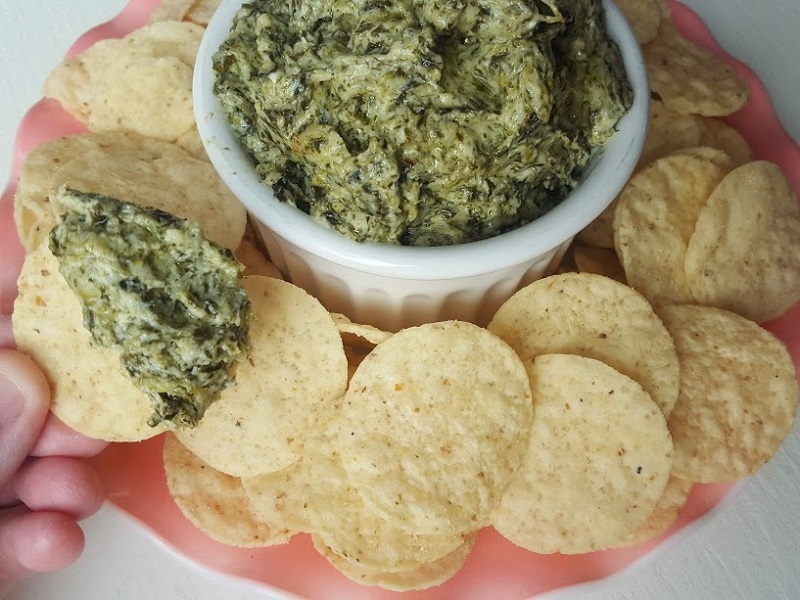 Go ahead and make this Baked Spinach Dip, grab some chips, and dig in! This is perfect for family gatherings or parties, and you can easily double the recipe as needed because they will be wanting more! This Baked Spinach Dip is an easy, cheesy, crowd pleasing kind of dip. It will dissappear and they will be asking for more! 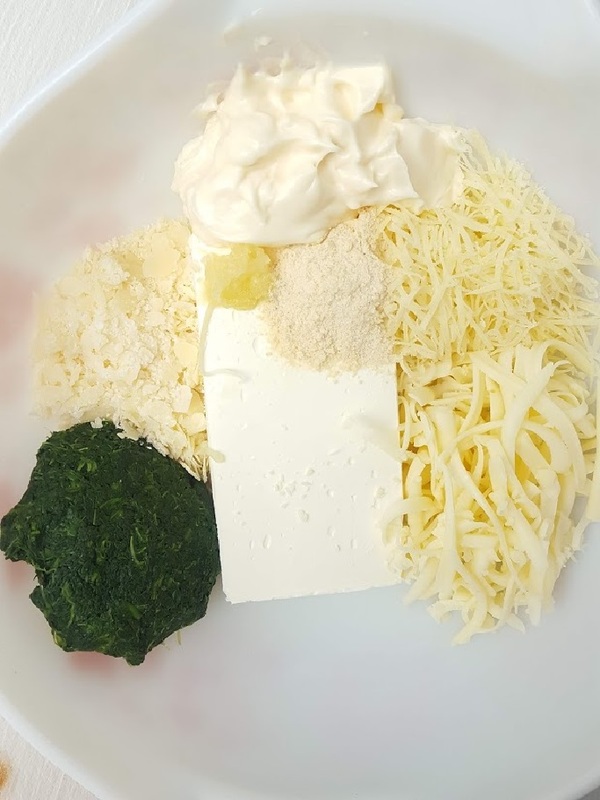 Mix all ingredients in one bowl. Can use hand mixer to incorporate. Pour into square greased baking dish. Bake t 350 degrees for about 25 minutes. After baking you can broil the dip at the end of for 2-5 minutes to brown the top. Remove from the oven, let cool for 15 minutes and enjoy with chips of your choice!